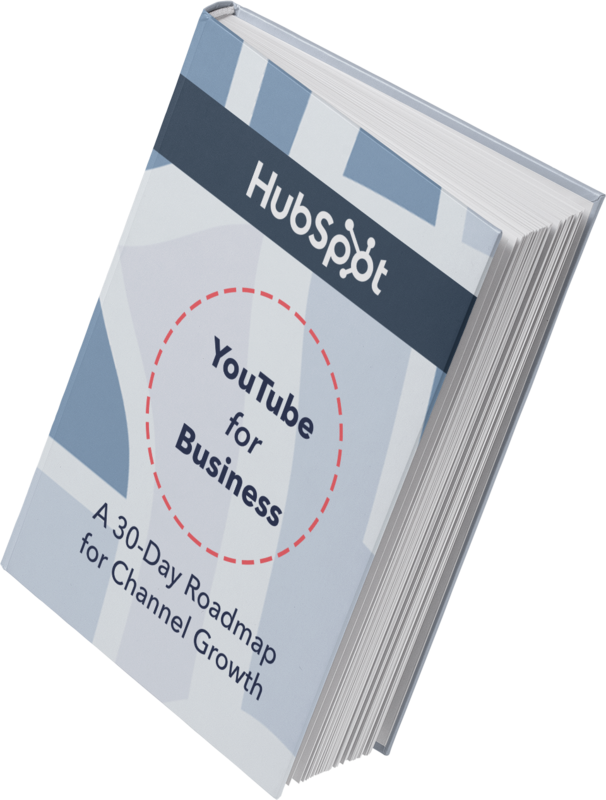 Discover everything you need to start growing your YouTube business channel. Nearly one third of the internet -- over a billion people -- are using YouTube to discover, consume, and share video content, according to the video-sharing giant's press page. Just how much video content are these users actually consuming? A cool one billion hours a day. Audience size aside, you might be wondering: Why YouTube? Why invest in building out a business channel there when you can just upload video content to your existing Facebook or Instagram or Snapchat account? "Even with increased competition from Facebook and Snapchat, YouTube’s biggest selling point echoes that of parent company Google: It has intent," explains business and technology writer, Erin Griffith. In other words, the platform's users are often showing up with a need in mind -- like how to cook a turkey or how to tie a tie. In fact, back in 2015, Google reported that searches related to "how to" on YouTube were growing 70% year over year. "Being constantly connected has trained us to expect immediacy and relevance in moments of intent—the I-want-to-know, I-want-to-go, I-want-to-do, and I-want-to-buy moments," explains Google. And this shift in technology and consumer behavior is something businesses really can't afford to ignore. 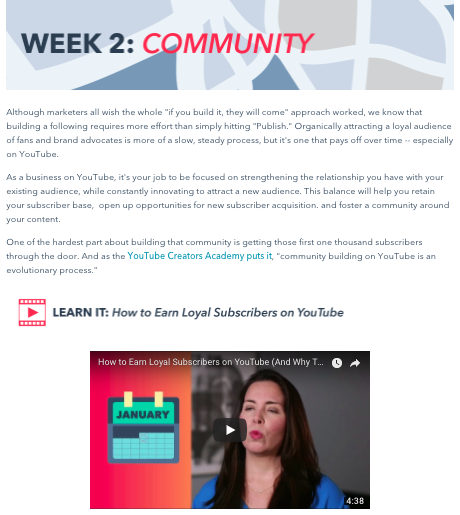 For these reasons and more, it's clear that YouTube provides businesses with an authentic, engaging platform for building and delighting your audience. But how do you get started? 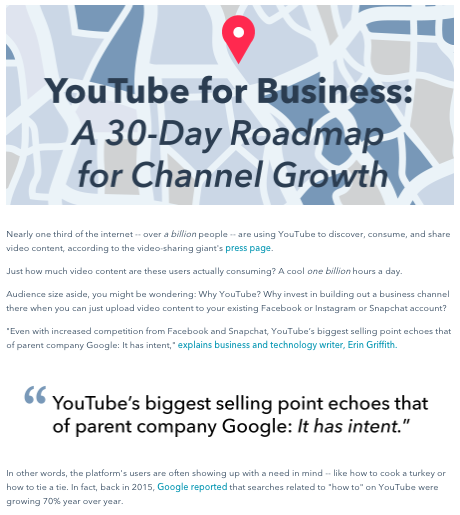 And perhaps more importantly, how do you grow Throughout this guide, we’ll cover four key channel growth levers -- branding, community, discoverability, and content strategy -- designed to help businesses like yours start recognizing the value of hosting video content on YouTube. 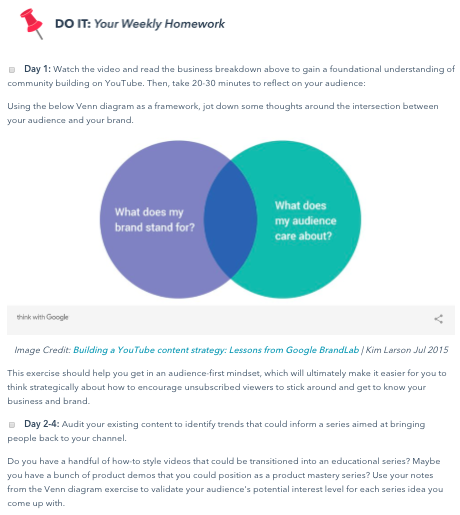 To avoid overwhelming you, we've broken down the learnings into a 30-day plan,complete with explainer videos, business cases, and weekly action items.